You don't need to travel to the walk-in centre in Luton. See a GP online for £30. You can speak to one of our NHS-trained GPs online in minutes. We’re open from 7am - 8pm, 7 days a week, every day of the year. See a Push Doctor today on any device, from the comfort of your own home, workplace or even if you’re on the go. Our doctors can treat almost everything your own GP can. They can also write same-day prescription, referral letters and fit notes. Luton is home to over 216,000 people, so getting a GP appointment can sometimes be a struggle. If you need to see a GP in Luton, it may be quicker to get an appointment with one of our online Push Doctors. Book an appointment and you can have a face-to-face appointment with a UK GP in minutes. Still looking for a Luton walk-in centre? 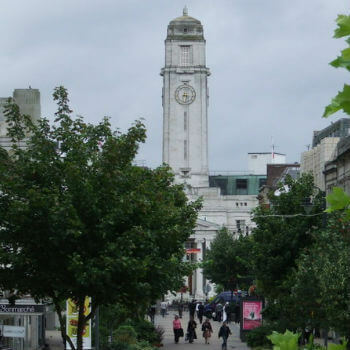 Luton Town Centre GP and Walk-in Centre is located very close to The Mall in the centre of the town. It’s open 7 days a week, 12 hours a day. Address: 14-16 Chapel Street, Luton, LU1 2SE. Kamsons Pharmacy is located just off Castle Street Roundabout and is open 6 days a week.